Adventure Journal - The Dark Return | A gothic fantasy setting in the lands of Atheles. Brelmani pricked his finger, a swell of blood gathering then dropping into a small bowl filled with a copper toned ink. Three drops fell to the surface of the liquid, then he pulled his long fingered hand away. A small swath of suede was already unrolled on the table. He grabbed a quill and began to mark the leather with the copper toned ink. He murmured strange sounds as he covered the leather with unknown symbols and marks. After an hour he was done. The symbols seemed to glow for a moment, then fade back to a dark metallic brown. Brelmani reached into his pocket and pulled out a small round crystal which was a milky white color with red veining. He placed it in the middle of the suede and gently rolled it up. This should keep it secret from detection for at least a month, maybe more. Or so he hoped. Agrid whistled as she carved. The stone was hard, but her tritium tools easily made their marks. She would break into song everyone once in a while, singing into the runes she carved. Dwarves believed in song. Song was a power of the world. As were words. Both spoken and written. These words were ancient, taught to her by her master, before she left the city. City life wasn’t for her, too much turmoil. Too many people. Too many humans. And too many human laws. But out here, here she could make a life that was her own. Out here there were other dangers. Monsters and demons. She paused as she finished one rune and started on the next. These runes would keep them at bay. On those dark nights, the things that go bump, would bump somewhere else. These runes of power would need upkeep, but having to repair runes was much better then staying in a city where dwarves were looked as below others. Here she carved the runes for herself, and here she carved out her own life. Tanin placed the third rock on the soft earth of the forest. He checked it in accordance with the others to make sure they created a perfect triangle. A single rune adorned each stone, though they were worn away and barely seen. Tanin could not afford to have them reworked yet, but maybe, just maybe after this delivery he would have enough. The wilds were dangerous, especially for a messenger. Traveling in groups was necessary to keep night watches and to look over each others shoulder for danger. Tanin traveled alone, because these simple enchanted stones allowed him to sleep with some level of security. He hardly believed the old woman when she had said that they would scream as loud as a hawk if their perimeter was crossed by something. Then she showed him and he gladly paid the asking price of 100 gold. It was all of his savings, but that would keep him safe at night, allowing him to make longer treks alone and to make more per delivery. As they were used the runes slowly wore away, as if a gentle stream was washing away the rough edges. 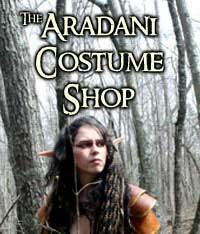 Tanin hoped they would last just a few more weeks as he laid down to sleep in the quickly darkening forest, . Just a few more he thought, as he slowly drifted to sleep. These are examples of runic magic, a type of magic that is imbued on an item that gives some utilitarian property. They are created with the Artificing Craft, which is part of our upcoming release of crafting and item rules. 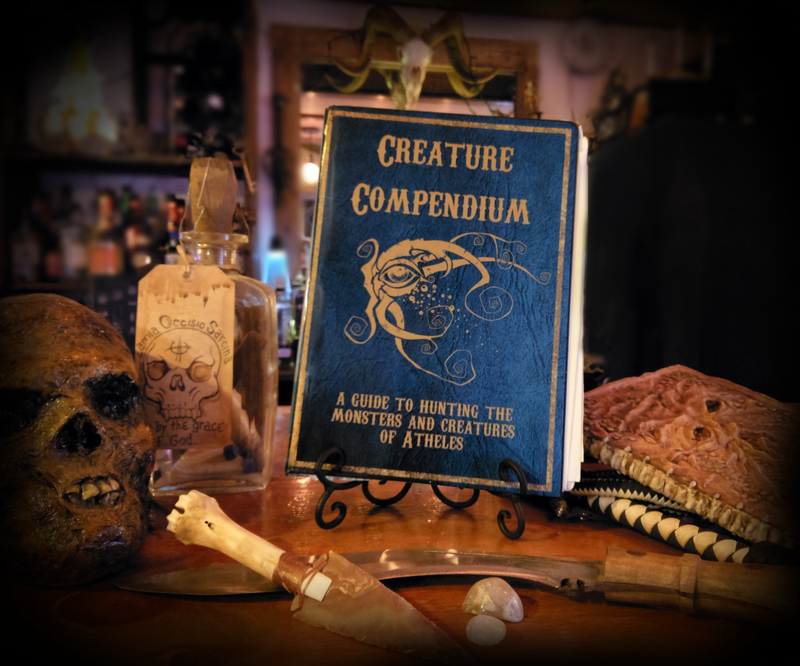 Hang out with the Sagaborn crew as we discuss the Creature Compendium! Filmed live one week into the Kickstarter, we talk about monsters, our favorite RPG systems, and NPCs. The awesome folks at The Called Shot Podcast did a little side adventure in Atheles, showing off the SagaBorn RPG. It is a great run, and their show is a lot of fun! Be sure to check it out. They also have a great review at the end of the podcast for the SagaBorn system. Thanks for the support and spread the word, we need more monster hunters! After a year of work, the monsters of Atheles are ready to invade your table. Join us and help make this book a reality. Follow along on our journey by joining the SagaBorn RPG facebook group.